Lilly’s Room | Live Laugh Bark(at everything)! 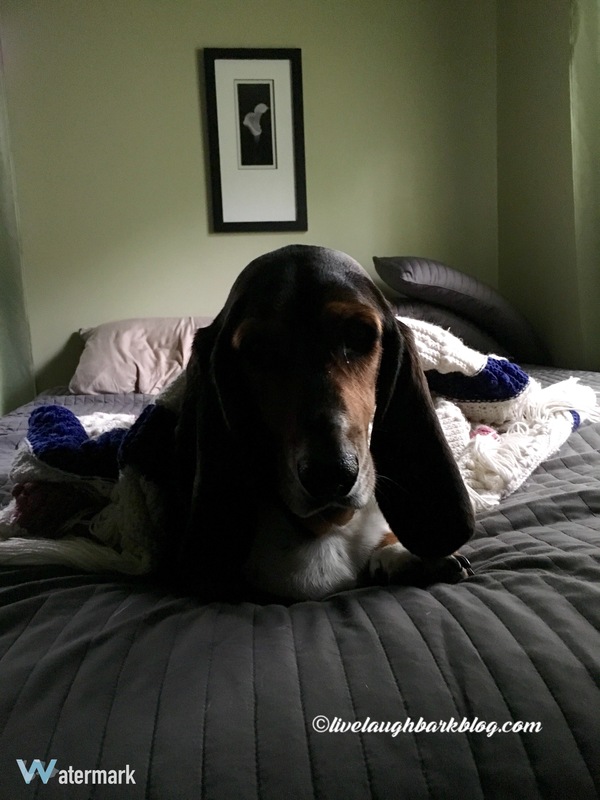 So our basset Miss Lilly decided early on when we first got her that the guest room was actually her room. She gets very upset whenever we rearrange or change anything about it, she was also very upset when we had to move it across the hall to the office when little brother came along! Recently we decided to get a new bed for in it that fits the space a little better. We wanted to get the room ready today as the new bed will be arriving tomorrow, needless to say someone was not happy or co-operative! No mum i’m not moving off my bed! 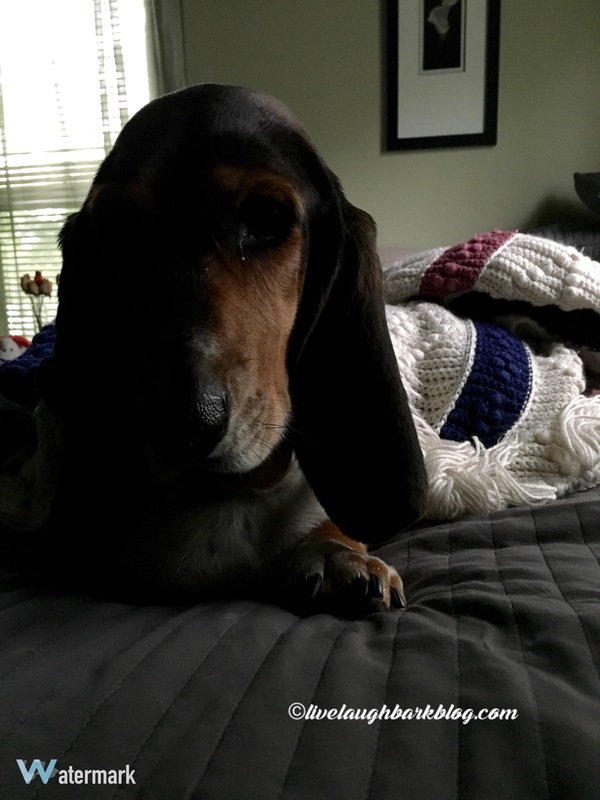 She was all snuggled in for her mid-morning nap and wasn’t budging! We eventually got her to move with some bacon bribes but she is one unhappy pup right now. Exactly how many pieces of bacon are we talking for me to move? Hopefully she will be happy when the new bed arrives and she can test it out! Thank you!! We think she is!